Various states have recently been modifying and in some cases eradicating criminal penalties for marijuana possession and manufacturing. As a result law enforcement has seen an uptick in shipping the drug from a state where it is legal to a state that has yet to join the legalization party. Despite recent modifications in the controlled dangerous substance laws, marijuana continues to be illegal under state law, and thus local and federal law enforcement have focused a great deal of attention on intercepting packaged drugs headed toward Maryland. Recently a large number of federal search warrants were unsealed in Baltimore, allowing the public to take a look inside the process and procedure of apprehending suspects that take delivery of packaged drugs. Mailing drugs such as marijuana, cocaine, and ecstasy from state to state is not a new method of drug distribution. Drug traffickers and even personal users have been utilizing the mail for decades as a seemingly safer alternative to transporting drugs via car or plane. But now that some states have legalized marijuana for medical use, and even for non-medical personal use, shipping pot by mail has taken off. The mail trend likely gained popularity when California legalized marijuana cultivation for medical use over ten years ago. This immediately caused the price of pot to drop 3 or 4 times below its traditional street value, and the current street value in many East Coast states such as Maryland. Nowadays you can purchase a pound of high quality pot for as little as $1,000 in California, whereas throughout the Midwest and along the East Coast a pound still goes for over $3,000. Personal users and dealers alike can do the simple math and figure out the benefits of getting their supply from the West Coast. And with ramped up airport security as well as K9 patrols along the interstate highways, not to mention the price of gas, it simply pays for some people to take the risk of mailing their stash. Law enforcement agencies such as the United States Postal Inspectors and the DEA have caught on to this trend, and have increased their awareness and efforts to intercept shipments of drugs. Due to the sheer volume of mailed packages cops have had to develop a system to focus their attention on certain types of mail. 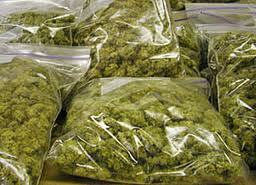 Typically, packages mailed from zip codes where marijuana is cheap and accessible are the first to be screened. This usually entails employing a K9 to walk around the facilities where packages are temporarily stored during transit. If a K9 hits on a certain package it may be inspected further, and ultimately cops will apply for a search warrant of the subject package. Once a judge approves a search warrant, law enforcement may open the package and test its contents. 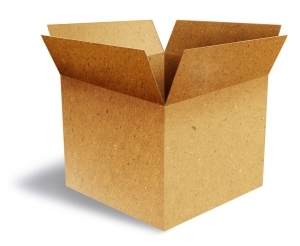 If drugs are found, the package is usually sealed back up and sent on its way to the original recipient. Instead of a actual delivery person though, an undercover cop dressed as the mailman or the UPS person will show up to complete the delivery. As soon as the recipient takes possession of the package, the undercover cop or agent will initiate an arrest. There are a variety of defenses available to a person who is arrested for receiving illegal drugs via mail. There are also signs that can indicate whether law enforcement has tampered with a package and is initiating an undercover bust. 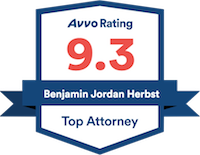 For further information, or for a consultation about your drug case, contact Maryland marijuana lawyer Benjamin Herbst. Postal inspectors intercept mailed drugs, baltimoresun.com.